Winemaker, Chris Mullineux, spoke to Glenneis Kriel about how producers have turned the Swartland from a bulk producer into one of South Africa’s premium wine-producing regions. Chris Mullineux shows off a block of Shiraz vines that was on the farm when he bought it. Wine grape cultivation was traditionally a sideline for farms in the Swartland, with the majority of grapes produced being sold in bulk. 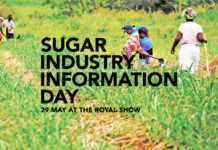 Then, in 2011, a group of farmers came together to form the Swartland Independent Producers (SIP), a production and marketing organisation designed to unlock the Swartland’s unique wine-making potential. Since then, the region, which stretches from Durbanville and Paarl in the south, to the Berg River in the east, and the Atlantic coastline to the west, has gained global renown for its top-quality Chenin Blanc, as well as its red Rhône varietals such as Syrah, Mourvèdre, Grenache noir, Carignan, Cinsaut and Tinta Barocca. 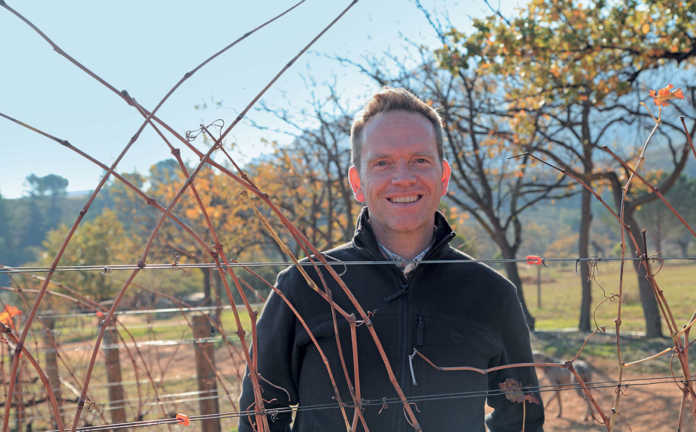 Chris Mullineux, a founding member of SIP, recalls that he realised the region’s wine-making potential while working at a boutique winery in Tulbagh. After a five-year stint at Fable, Chris worked as a winemaker in California in the US, as well as in France, where he met his future wife, Andrea. Andrea is an international award-winning winemaker in her own right, with the US magazine, ProductionWine Enthusiast, naming her its 2016 Winemaker of the Year. A native of San Francisco, she studied oenology and viticulture, has worked at wineries in the US and Europe, and is a member of the Cape Winemakers’ Guild. In 2007, the couple, with their diverse vinification know-how, decided to establish their own brand, Mullineux Family Wines, and thought that the best place to do so would be the Swartland. 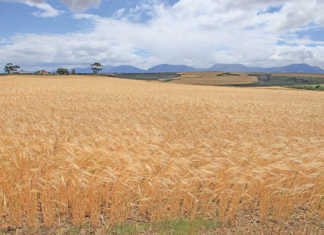 “We chose the Swartland because of its unique terroir,” explains Chris. “In other wine-producing regions, there’s a lot of variety, with soils changing every few hundred metres. But the soils used for wine production in the Swartland consist primarily of decomposed granite and slate. 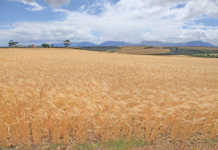 The Mullineauxs bought Roundstone farm, near Riebeek Kasteel, which had about 7ha under wine grape production. They produced their first 30 000 bottles, released in 2009, in a 200m2 cellar. Since then, the winery has received no fewer than 17 Platter’s SA Wine Guide five-star wine ratings. Mullineux wines have done well overseas, but cracking the local market has been tough. “We built a valuable international network of contacts in Europe and the US, which helped us sell our wine internationally,” explains Chris. Speaking to other Swartland winemakers, Chris discovered that they had the same problem. Discussions on improving the region’s image followed, and SIP was born out of these. The challenge, ironically, presented a unique opportunity. Forgoing the old Bordeaux wine styles traditionally produced in Stellenbosch, SIP decided to focus on varieties such as those from the Rhône Valley in France, which thrive in the Swartland’s drier Mediterranean-type climate. The region receives 80% of its rainfall between May and October, and annual rainfall varies between 450mm and 600mm, but can be as low as 240mm in some areas. To encourage the creation of wines that truly reflect the region, SIP drew up production guidelines to ensure that the wines remain as natural as possible. “Members are not allowed to add yeast or tannins, acidify, chemically refine, or use any technological processes that would alter the constitution of the wine,” Chris explains. To allow for better light penetration, bush vines are preferred to the trellis system. 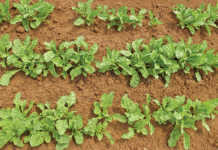 Farmers use biological production practices, such as cover crops, mulches and compost to improve soil structure and build soil health. Chemicals are a last resort. “Whereas our drier climatic conditions pose some challenges, resulting in lower yields than in regions with higher rainfall and better access to water, we have fewer insect and disease problems. In effect, we can produce grapes much more naturally than is possible in some of the wetter regions,” says Chris. He adds that the group continually re-evaluates its practices as the winemakers meet to share production experiences and difficulties. The founders of SIP, namely Eben Sadie, Adi Badenhorst, Marc Kent, Callie Louw, and Chris and Andrea, initiated the annual Swartland Revolution festival in 2010 to showcase the district’s wines. According to Chris, the festival achieved its aim of publicising the region, so was discontinued in 2015. Chris is also pleased with the progress of SIP; starting out with fewer than 10 producers in the 2000s, it has grown to 22 members, and there are now more than 30 wineries in the region. Eben Sadie, of Sadie Family Wines, concurs, saying SIP has helped put the Swartland on the world stage. This was demonstrated by its inclusion in the recent article, ‘The top 12 underrated wine regions to visit’, in US business magazine, Forbes, as well as other international media coverage. Eben believes that SIP has also created a platform for producers to benchmark their wines, resulting in improvements that would have been unlikely if they had worked on their own. Eben himself is the ProductionInstitute of Masters of Wine’s Winemakers’ Winemaker of 2017, as well as The Drinks Business’ Winemaker of the Year 2017, Craig Hawkins, chairperson of SIP and owner of Testalonga, says his wine is quite individualistic, but his winemaking has benefited from the professional interaction brought about by SIP. Chris and Andrea, too, have seen their business grow in leaps and bounds. Today, Mullineux Family Wines produces around 240 000 bottles of wine a year, priced from R100 to just under R1 000 a bottle. They are sold locally, and exported to the UK, Germany, Belgium, the US, Canada, Scandinavian countries, Japan and China. SIP is clearly reaping benefits for its members, and for the Swartland as a whole.